Looking for the ideal stocking filler? 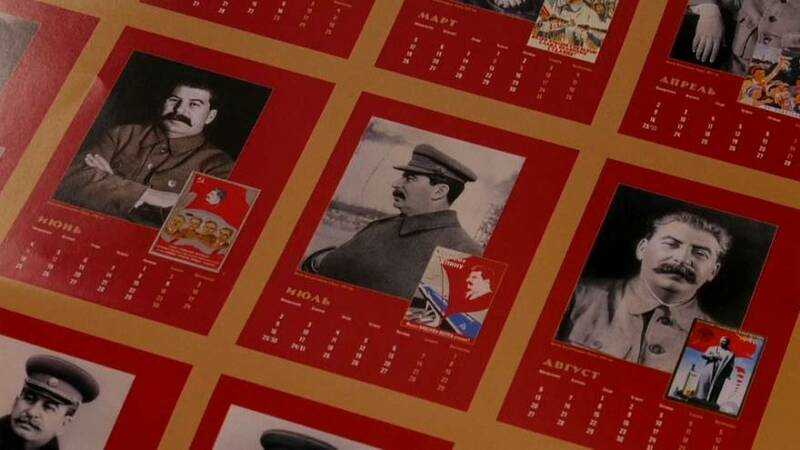 In the Russian city of Yekaterinburg 2018 looks like being a very Stalin New Year with the publication of a calendar dedicated to the Soviet dictator. Some local residents were shocked at the 14-page calendar, which compliles Soviet propaganda posters and photos of "Uncle Joe" at different ages and stages in his political career. "Would you buy such a calendar?" a reporter asked one young woman. "No, I don't need wastepaper at home," was the reply. "We need more of this symbolism for people to remember and to be proud of this man," said one young man. "Everything that happened at that time was a savage, savage horror," was the opinion of a man old enough to remember. The calendar, at just under eight dollars or 450 rubles, sparked an intensive discussion on social media. "Is it already sold out?" asked the reporter trying to find one. "I don't know; it's probable, have you seen in the store?" the assistant replied. "I presume that we've run out of it, yes". Public opinion in Russia is divided over Stalin's dual legacy of repressing millions of Soviet people and defeating Nazism. After the backlash the bookstore removed the Stalin calendar from sale.